The family of one of the founders of our school, headmaster, Ms. Kanokwan Thapech, is an old family of Thailand that has inherited the Thai Traditional Medicine techniques. 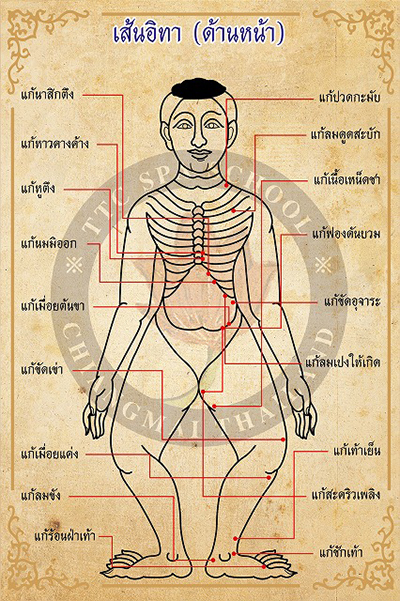 They have read and understood the old writing that they inherited from their ancestors about Thai Traditional Medicine. Traditional Thai Massage and Thai Herbs are part of Thai culture and are deeply rooted into the people’s lives. The origin that Thailand is called “the Land of Smiles” lies within its culture. 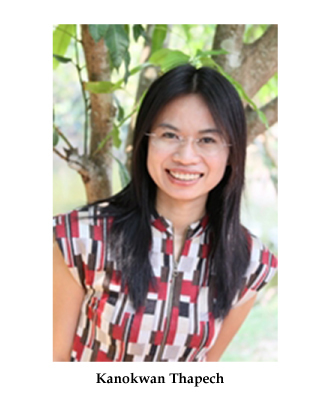 Thai Traditional Massage is a sphere of academy that searched for the balance between nature and humans. 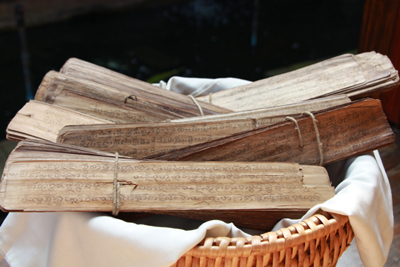 Our school is a rare school that keeps the old writing about Thai Traditional Medicine. Photo on the left shows the part of the writing. This writing is nationally designated as an important cultural property. Uncle of our headmaster still works hard as a physician in Loei Province in Thailand. He still goes to the mountains to pick the herbs by himself. 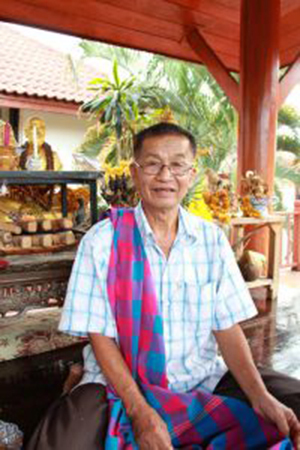 He is also one of the people in charge of decoding the old writings that is now kept in Wat Pho temple. Since the writing is written in an old Thai language, he is one of few people who can understand and translate the language.